With a overabundance right now with peppers I made this tonight and what a gem it is! Definitely going to be made again, the roasted peppers were so good. You can either make this with some other things on the side (we had potatoes and a roll) or you could serve on a sub roll. This was such a fresh meal as all the vegetables came from our garden. 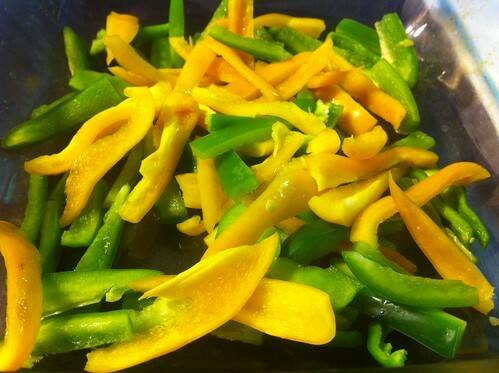 Cut up your peppers into 1-2 inch strips. Cut up your sausage into 1 inch pieces. 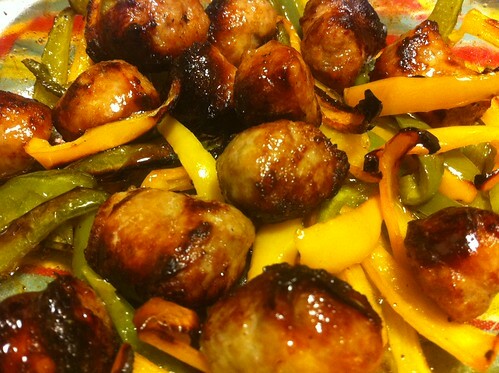 Take your sausage and brown it on the stove for a few minutes. 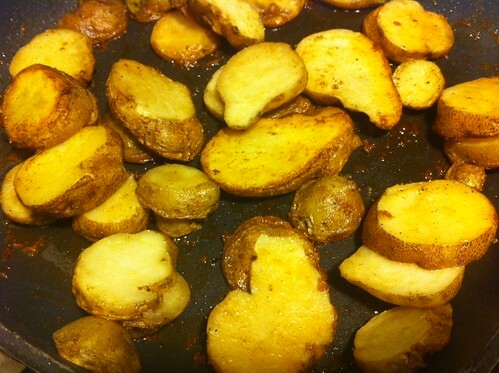 Mix it with the peppers, then pour in some olive oil and a pinch of garlic salt, mix around. After it’s brown, put it on the oven on broil (low) for 10 minutes. After 10 minutes, mix it around so it doesn’t burn. Put it back in the oven on broil (low) for 10 minutes. After 10 minutes, mix it around. Finally, put it back in the oven on broil (high) for 10 minutes.